Jake had a vision. It was his, the only real one he'd ever had, and he clung to it. There had been too many messy gas station holdups with only some green stamps and a case of Valvoline to show for the risk. Joliet Jake had always been full of schemes. But this was different; it played across his tiled cell wall 24 hours a day. And the ending was always the same – Jake and his younger brother Elwood cruising out of Calumet City, Ill., with the sun in their shades and a full tank of gas. He absentmindedly rubbed his Buddha belly; even on a diet of jail food and Chesterfields, Jake had gained weight. Someday they’d have a penthouse on Lake Shore Drive… float around with bourbons and blonds. It was out there for the taking and Jake could smell it like ozone in damp air. It had always been the blues. Even back in the Rock Island City orphanage (that sweaty kid factory with the black windows) Jake and Elwood were saved by the music. Actually, saved by a gray-haired janitor everybody called Curtis. He wore these sinister midnight shades, a narrow black tie and a porkpie hat that he kept pushed back on his head. Curtis wrapped his waxy brown hands around his guitar neck and played the most dangerous blues this side of Robert Johnson. The nuns scorched their days with holy threats and Curtis rescued them by night. Down in the coolness of his basement he taught the brothers the blues. Silent Elwood never did put more than two sentences together, but all those lost words burned from his Special 20 blues harp. And Joliet tore that voice from some hidden darkness, twisting his chubby body, snarling at the heavens, a born sinner. They used the basement because it was secret and because the echo gave them a nice dirty sound: Howlin’ Wolf and Little Walker, slapping like a bad dream around the chilly room. And then one night, Jake brought in a gleaming E string he said came from Elmore James’ guitar. He held it tight and as it glowed in the bulb light, Jake sliced Elwood’s middle finger and then his own. Now the solo boys with soul in their blood were brothers. 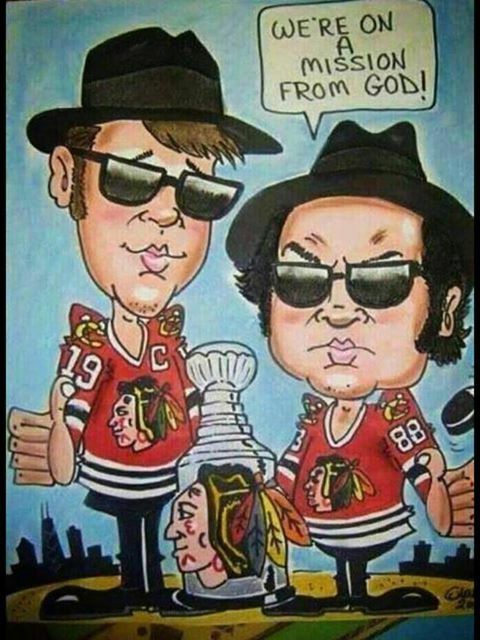 Jake and Elwood Blues … the Blues Brothers. 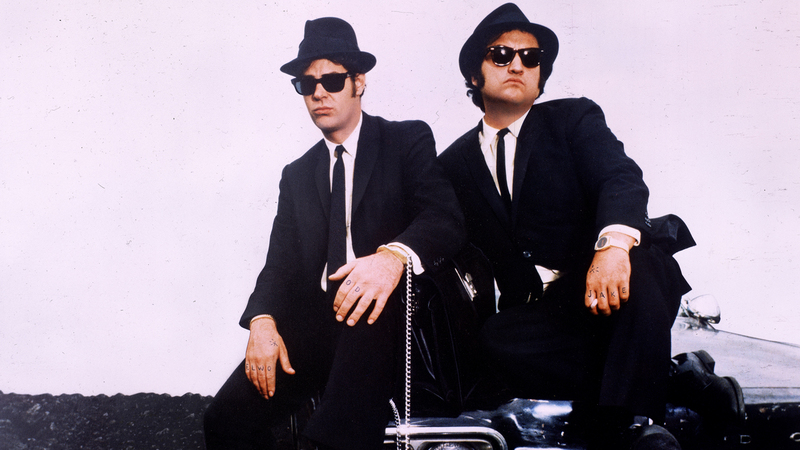 When Jake could keep himself out of jail, Elwood took off from the Taser factory and the brothers rode the state bare. They played everywhere: after-hours clubs, black-light bars. Word spread quietly across the steel belt about the two men in the porkpie hats who still played the blues. And soon other musicians crawled out of the night. The Colonel showed up in Decatur with his Telecaster and Duck. The Shiv, Mr. Fabulous, Blue Lou, Bones, Triple Scale, and crazy Getdwa strutted in one Saturday night. Finally, Guitar Murphy, bigger than life, joined up and they were set. One scary soul band as mean and righteous as a fist. 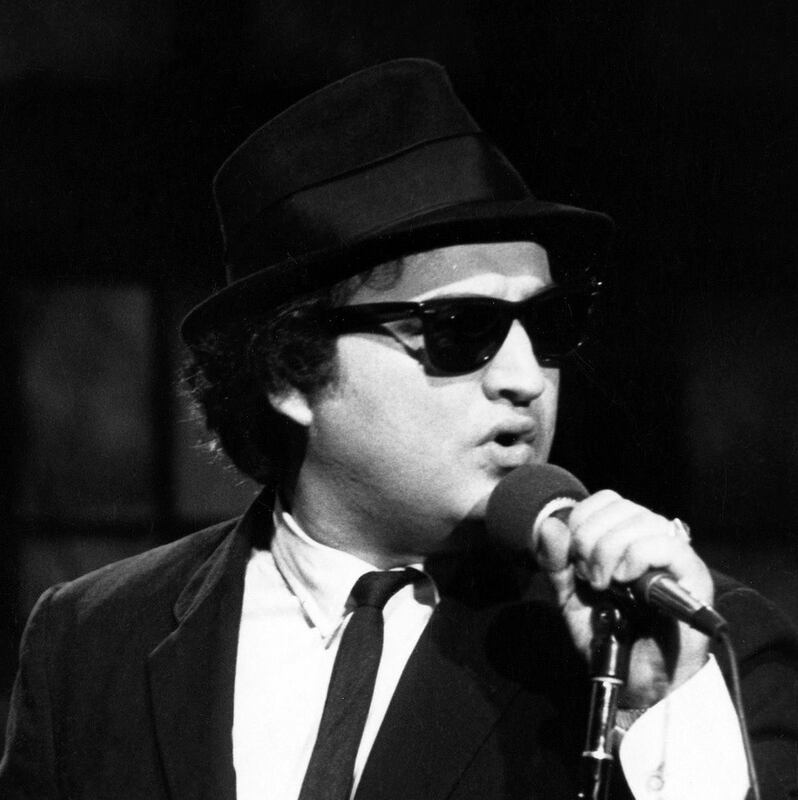 Born in Chicago on January 24th, 1949, John Belushi was the second child and eldest son of restaurateur Adam (an Albanian immigrant) and his vivacious wife, Agnes (whose parents were Albanian immigrants). From a very young age, John and his older sister, Marian where allowed to roam their neighborhood of Humboldt Park unsupervised by adults. This fostered in John an early sense of independence and love of adventure. When John was six, his family moved to the western suburb of Wheaton, Illinois, where two more sons, Jim (actor James Belushi), and Billy where born. The small town of Wheaton was a stark contrast to the city life John had known. The swarthy Albanian immigrant son, he became the perfect all-American boy during his high school years, quite unlike his later wildman public persona. Co-captain of the Wheaton Central High School football team, he was an All State nominated line-backer and was elected homecoming king his senior year. He also developed an interest in comedy and acting while in high school, and appeared in the high school variety show and numerous plays, including a four-person drama which won third place in state competition. During the summer before his senior year, John met and fell in love with his future wife, Judy Jacklin. In the fall of his freshman year at the University of Wisconsin at Whitewater, John's image radically transformed when he grew his hair long, donned a peace symbol, and took to wearing bellbottoms. His politics became radical as well, and he became active in the anti-war movement. Finances were tight, so John left Whitewater and transferred to the College of DuPage, a junior college a few miles from his parents' home. This was good news to Judy as she was then a senior in high school. While attending DuPage, John formed the West Compass Players, an improv comedy troupe patterned after Chicago's famed Second City ensemble. In 1971, John made the leap to Second City itself where he formed lifelong friendships with fellow performers Harold Ramis, Brian Doyle Murray, and Joe Flaherty. After a little over a year at the Second City, John was cast in the off-Broadway stage show of National Lampoon's Lemmings, a rock musical revue. John and Judy moved to New York City, where they both worked for National Lampoon. To everyone's surprise, and to John's delight, the show played to full crowds for nearly ten months. In 1974, John was hired as a writer for the syndicated National Lampoon Radio Hour. Shortly after, he became the show's creative director and immediately hired old friends Ramis, Doyle Murray, and Flaherty, and added the young Gilda Radner, a Toronto Second City alumne, to the group. This team also created the National Lampoon Show, which opened in NYC in 1975. Subsequent additions to the cast included Bill Murray and Richard Belzer. John's big break came later that same year when he joined NBC's groundbreaking TV series Saturday Night Live. It was here that he rose to fame and his unpredictable, aggressively physical style of humor blossomed. In 1976, John and Judy were married. In 1978, while still working at Saturday Night Live, John appeared in the movie Goin' South, starring and directed by Jack Nicholson. He took this bit part to get film experience for his upcoming role in a movie that Lampoon writers Harold Ramis, Doug Kenney, and Chris Miller had written for him, called National Lampoon's Animal House. John's character, the notorious, beer-swilling Bluto, stole the movie, which captured frat house shenanigans at a small college in the early 1960s. Despite appearing in only a dozen scenes, John's performance made the movie a box-office smash and the year's top grossing comedy. While filming Animal House in Eugene, Oregon, John met and studied at the feet of bluesman Curtis Salgado, who awakened in the actor a love for America's roots music—a love already shared by SNL partner Dan Aykroyd. It was John and Dan's shared adoration for blues and soul music that sparked the birth of the Blues Brothers. He and Aykroyd first appeared as Joliet Jake and Elwood Blues—a pair of white soul men in their now trademark ensemble­––as a warm-up act before the telecasts of Saturday Night Live, eventually making their debut as the featured musical guest. The release of their #1 chart-topping live album A Briefcase Full of Blues helped propel John to mega-stardom. In 1979, having just appeared in Steven Spielberg's financially unsuccessful 1941, Belushi and Aykroyd quit SNL to pursue their own movie projects. The following year, they starred alongside musical heroes Ray Charles, James Brown and Aretha Franklin in John Landis' now legendary The Blues Brothers. In 1981, John appeared in the movie Continental Divide, playing a hard-nosed Chicago newspaperman who finds romance in Colorado with eagle expert Blair Brown. That same year, he and Aykroyd starred together again—and for the last time—in the film Neighbors. Tragically, during his last few years, John's drug use became problematic. Cocaine, which was ubiquitous in show-business circles in the 1970s, became his drug of choice and, ultimately, his downfall. His frequent binges became a source of friction in his personal and his professional life, and fighting the dragon became his life battle. He made several attempts to control his demons, with periodic success, but ultimately succumbed to his addictions. 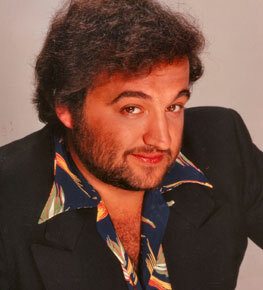 On March 5, 1982, John Belushi was found dead in his hotel room at the age of 33. The local coroner gave the cause of death as a lethal injection of cocaine and heroin. Today, John's iconic stature lives on thanks to the cult status of Animal House and the early years of Saturday Night Live, but mostly through the universal and enduring appeal of his most personal creation, Jake and Elwood Blues—the Blues Brothers. Dan Aykroyd is an Academy Award nominated and Emmy Award winning actor, comedian, musician, writer—and, most recently, business entrepreneur. He studied criminology at Canada’s Carleton University, but dropped out before receiving his degree to pursue acting, first working as a comedian in various Canadian nightclubs and going on to gain experience in Toronto’s Second City comedy troupe. He became a regular on Saturday Night Live in 1975 due to his political satire, powered by flawless impersonations of Presidents Nixon and Carter. Collaboration with fellow SNL cast members led to the creation of such memorable duos as Two Wild and Crazy Guys (with Steve Martin) and The Blues Brothers (with John Belushi). His interest in crime led him to film roles on both sides of the law, including good-guy Sgt. Joe Friday in Dragnet (1987), hit man Grocer in Grosse Pointe Blank (1997), and break-in expert ‘Mother’ in Sneakers (1992). He recently appeared in the films Stardom (2000), The House of Mirth (2000), Pearl Harbor (2001), Bright Young Things (2003), 50 First Dates (2004) and I Now Pronounce you Chuck and Larry (2007) with Adam Sandler. 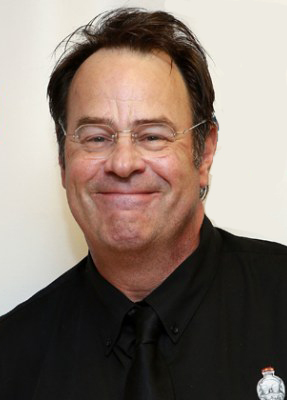 Aykroyd has been honored numerous times for both his acting and screenwriting capabilities. In 1977 he received an Emmy Award for writing on SNL and he later received two more nominations for writing, and one each for acting and Outstanding Comedy-Variety series. He received an Academy Award nomination as Best Supporting Actor for Driving Miss Daisy. He has been inducted into Canada’s Walk of Fame and maintains his Canadian roots as a longtime resident of Kingston, Ontario. In 1994 Aykroyd received an honorary Doctor of Literature degree from Carleton University. Buoyed by his success in Hollywood, Aykroyd has pursued varied business interests. In 1992 he, along with many other notable music and Hollywood personalities, founded the House of Blues. By 2004, it was the second-largest live music promoter in the world, with seven venues and 22 amphitheaters in the United States and Canada. The enterprise was subsequently sold to concert promoter, Live Nation. In 2007, Aykroyd announced his newest venture, The Dan Aykroyd Winery. The $11 million dollar winery will be green-certified, featuring solar panels and environmental water management systems. Located near the town of Lincoln, Ontario, the vineyard’s lodge will showcase souvenirs from Dan’s movies. Construction begins shortly, and the winery will be ready for the 2008 growing season. 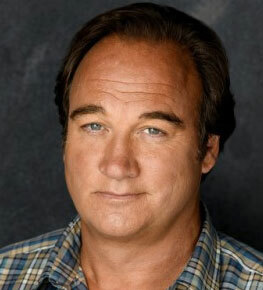 The first thing you need to know about Jim Belushi is that he's a performer. Not an actor, not a comedian, not a singer, but a performer. Which is pretty much all those things put together and multiplied by two or five or something. The second thing you need to know—and this is in some ways more important than the first thing—is that he has absolutely no shame. None. Zip. Zero. James Belushi was born June 15, 1954 in Chicago but grew up in Wheaton, Illinois. He is the third of four children of Adam Belushi, an Albanian immigrant who left his native Qytezë village in 1934 at the age of 15, and Agnes, who was born in the U.S. of Albanian immigrants. He attended the College of DuPage and graduated from Southern Illinois University with a degree in Speech and Theater Arts. From 1976-80 he became a resident member of Chicago’s famed Second City. 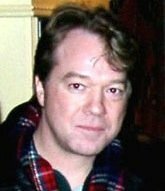 In 1979, write-producer Garry Marshall saw Jim performing for 2nd City and arranged for him to come to Hollywood and co-star in the TV Pilot Who’s Watching the Kids for Paramount, and then for a role in the television show Working Stiffs.Jim first came to national attention through his role in the Edward Zwick film About Last Night, with Rob Lowe and Demi Moore, playing the role he originated in the story’s first incarnation, the Chicago Apollo Theatre production of David Mamet’s Obie-award winning play Sexual Perversity in Chicago. In 1983, he joined the cast of Saturday Night Live for two years. Today, Jim’s feature film credits are many. He played James Woods’ spacey DJ buddy, Dr. Rock, in Oliver Stone’s Salvador; the mentally handicapped dishwasher befriended by Whoopi Goldberg in the Andrei Konchalovsky film, Homer and Eddie; and the defiant high school principal standing up to drug dealers in The Principal. In 2000, Belushi co-starred in MGM’s Return to Me, directed by Bonnie Hunt and starring David Duchovny and Minnie Driver, and he received rave reviews for his work with Gregory Hines in Showtime’s Who Killed Atlanta’s Children? Belushi has performed on Broadway in Herb Gardner’s acclaimed Conversations with My Father at the Royal Theatre, off-Broadway in True West, at the Cherry Lane Theatre in the Williamstown Theatre Festival production of John Guare’s Moon Over Miami, and for Joseph Papp as the Pirate King in Pirates of Penzance. He was mostly recently on Broadway, in 2011, in Garson Kanin’s Born Yesterday at the Cort Theater. He not only keeps busy acting in films but also performs with Dan Aykroyd as Zee Blues, one half of the legendary Blues Brothers. Together, Jim and Dan have produced their own album of classic blues standards, Have Love Will Travel. Jim can also be found on the road singing with his own band, the Sacred Hearts. In addition, he does numerous voiceovers for film, television and for commercials. Jim has recently added authorship to his repertoire, with his first book entitled Real Men Don’t Apologize. He explains how to do just about everything, from picking up women and choosing your friends to sticking up for yourself and: how not to apologize. A dedicated husband and father, he resides in Los Angeles with his wife Jennifer, his sons Robert and Jared, and his daughter Jamison. 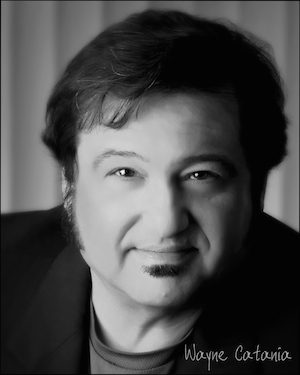 Wayne Catania is an established and respected musician (AFM), actor, and creative writer with a career spanning four decades. In the late 1970’s, Wayne’s resemblance to the late, great John Belushi opened the door to showcasing his own formidable acting and musical talents onstage and onscreen. Joining ACTRA as a character actor, he was cast in numerous feature films, television shows, and international advertising campaigns. Wayne’s charismatic and animated physical style were instrumental in forming a persona that now complimented his achievements on the live music stage. All of this has culminated in the opportunity to be cast as Jake Blues in the Classic Blues Brothers Stage Show—a part that Wayne is very specifically qualified for and passionate about and which is, in reality, the pinnacle of his life’s work. Over the past fifteen years, Wayne Catania has been the face and personality of the immortal Jake Blues, touring the continental US and Canada with both Official Blues Brothers Revue. Hailing from Toronto, Canada, Outside the world of All Things Blues Brothers, Wayne enjoys everything about vintage automobiles and cycling. Wayne has recently worked with Kieron, Judy Belushi Pisano, and Anne Beatts (Saturday Night Live, Square Pegs) to write the pilot for an action/comedy/musical TV show based on the further adventures of Jake & Elwood Blues. Originally from Toronto, Canada, Kieron Lafferty was influenced by the great acts that played at his father’s nightclub, The Electric Circus. Legends like Sam & Dave, Credence Clearwater Revival, and The Doors were the wellspring of his youth. Following the footsteps of his mentors, he began a career as a musician, playing in the Toronto blues/rock circuit where he gained a solid reputation for his soulful vocals and melodic harmonica lines. In the 1990s, Kieron focused on songwriting and released several CDs, including Sensible Religion and Seven Sisters, produced by Arnold Lanni. Well received by critics, the tracks ‘Thankful’ and ‘Money Speaks’ earned steady airplay in Canada and over the next few years he toured with his band E-KEY & THE HEAD. As an actor Kieron has had roles in a number of films including The Stem, by Alan Royal, and Synchronicity, a rockumentary by Bob Connolly. He and brother Sean wrote the music and the songs for the film and subsequent CD Signs in the Sky. Filmmaker Paul Jay cast Kieron in the A&E docudrama Lost in Las Vegas. Kieron wrote the film score and with the help of Eric Schenkman (Spin Doctors), those sessions evolved into a CD of eclectic blues called Boomtown. Venturing into musical theatre in 1998, Kieron joined the cast of the award winning Las Vegas show ‘Legends in Concert’ as Elwood Blues. The Blues Brothers act evolved beyond the Las Vegas show rooms and together with his stage partner Wayne Catania (Jake) they starred in the Blues Brothers Revival, a musical written by Victor Pisano and staged in Chicago in 2004. Since that time, their Blues Brothers act has toured extensively across the US, Canada and Australia, and they are currently touring in The Official Blues Brothers Revue produced by Judy Belushi Pisano and Dan Aykroyd, with Musical Director Paul Shaffer. In addition to his stage work, Kieron also puts his extremely versatile vocal ability to work in commercials, narration and animation. Currently, Kieron, Judy Belushi Pisano, Anne Beatts (Saturday Night Live, Square Pegs) and Wayne Catania have just finished writing the pilot for an action/comedy/musical TV show based on the further adventures of Jake & Elwood Blues.